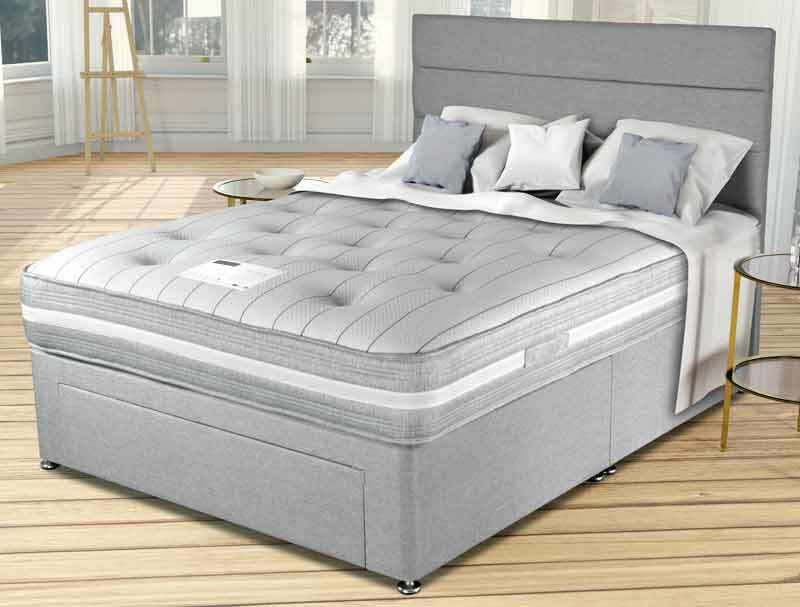 The Richmond ortho divan bed from Siesta beds offers great value with a firm spring tufted and turnable mattress with airstream fibre and a luxurious knitted cover at a price of 329 for a double size Bed in a choice of 30 great fabrics all at one standard price . 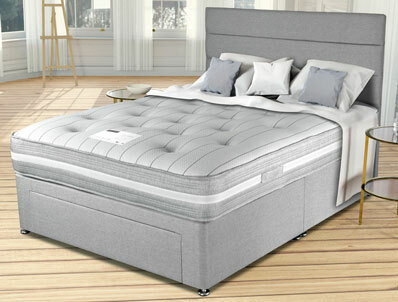 This fully turnable mattress has a soft knitted fabric cover and handles on the side and has a contrast edge colour side. , This bed comes as standard as a platform top hard base Non Drawer with a option to upgrade to a 2 , 2+2 or 4 Drawers in all sizes shown . The base shown in the picture shows the base with an End drawer , this drawer is available in Double & King Size Beds only. 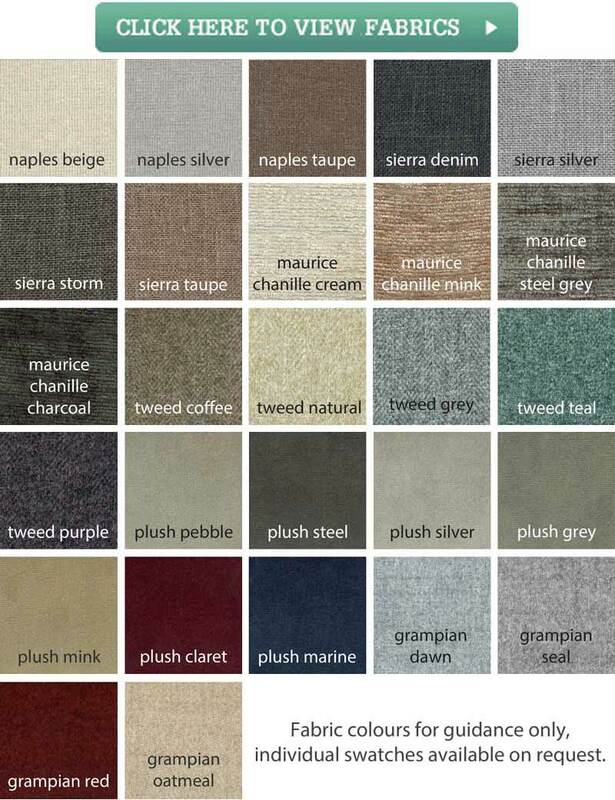 The Headboard pictured is not included in the price but is called Hampshire and can be added as an extra in either on legs or as a floor standing option.